Following the release of the documentary "Blackfish," which alleges grave mistreatment of marine mammals at SeaWorld, a number of performers affiliated with the park have broken ties. Despite SeaWorld's efforts to dispute claims made in the film, musical acts Willie Nelson, Cheap Trick, Heart and others decided to cancel planned performances at the park. 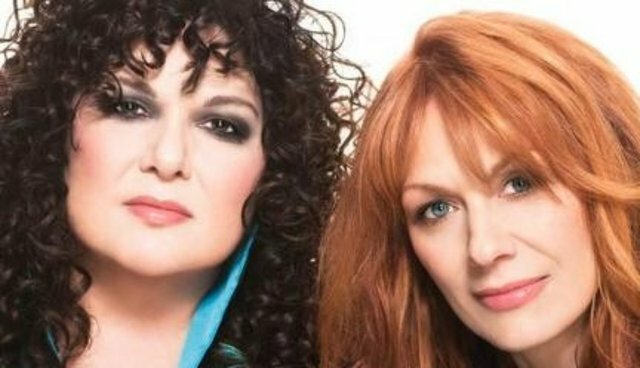 In a candid interview with Rolling Stone, Heart member Ann Wilson made her views on SeaWorld clear, calling captivity at SeaWorld "slavery, plain and simple." Before seeing the movie, I always imagined the orcas got to live in a big extended oceanic area when they weren't performing, but they live in a steel swimming pool and it basically drives them insane... [Heart] just couldn't go make a bunch of money from them and sign our names and underline it. Her sister and bandmate, Nancy, also described captivity at SeaWorld, as revealed in Blackfish, as "upsetting and heartbreaking." Both sisters claimed they were unaware that their performance was scheduled for SeaWorld; they knew only that they were set to perform in Orlando. "When I found out it was indeed SeaWorld," Nancy told Rolling Stone, "Well, we aren't playing there anymore." The Wilsons say they're lucky the decision to back out of the performance did not lead to litigation, though Nancy says a lawsuit wouldn't have made either sister change her mind. When you see the separation of the whale and it's mother, nothing is more convincing than that. People making money from them are saying, 'We're protecting them. They're safe and sound, not out in the wild where they're in danger.' But when you look at the underbelly of rodeos and carnivals, these animals are tortured and neglected and forced to do things that are highly unnatural for their breeds for our entertainment. It's really not fair. People think, 'Oh, they're just dumb animals.' They really aren't. I've had dogs and horses all my life. I can really get into the minds of these animals. The connection we have with them is real. Nancy also expressed little concern over spoiling the "fun" at SeaWorld. "I've decided I don't have to feel guilty about this," she said. "We do hate to rain on anybody's parade... but if it's at the expense of these animals that deserve so much better. If us doing this raises awareness, then it it's worth a little scuffle."